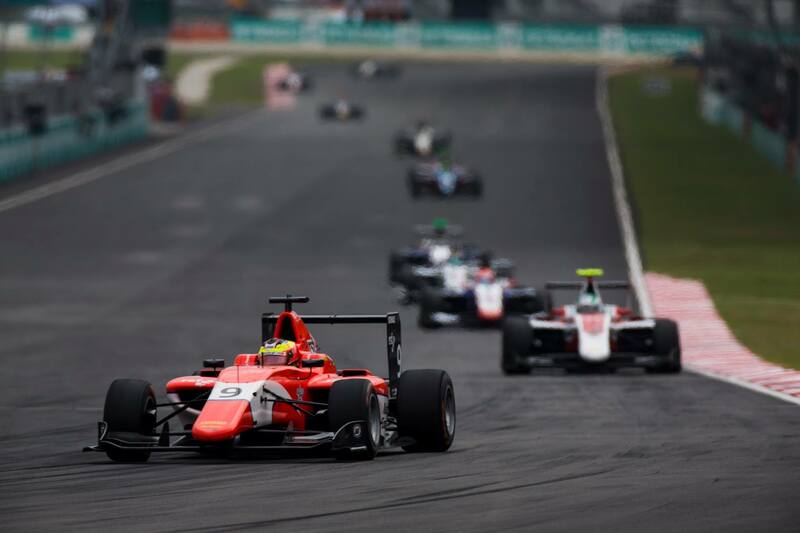 Jake Dennis recovered from a disappointing qualifying session to score a sixth place finish in the opening GP3 Series race at the Sepang International Circuit in Malaysia. The Racing Steps Foundation-backed driver, who provisionally qualified in ninth place during the previous day’s qualifying, was promoted two places overnight due to one driver being excluded from the session and a further racer taking a grid penalty from the previous round. In overcast yet extremely humid conditions, Dennis made a solid start to the race, retaining his position although he did not foresee the storming Campos Racing car of Steijn Schothorst who dived up his inside into turn one, locking up his wheels as he did so. Dennis attempted to repel the Dutch racer, the pair going side-by-side through the following tight sequence of turns, with Schothorst eventually able to secure the position. Both drivers were handed a single place higher in the order when the front running duo of ART Grand Prix cars of Charles Leclerc and Nyck de Vries made contact at turn four, with de Vries spinning out of the top 10 positions and soon after being handed a five-second time penalty for causing the collision. The incident promoted Dennis to sixth place who, having heavily defended from the threat of ART GP’s Nirei Fukuzumi, then focused on reducing the one-second gap to Schothorst ahead. Between laps seven to 10, Dennis slashed that advantage to just 0.3 seconds, and then having gained a slipstream from Schothorst down the long back straight, Dennis moved to the inside to take the position into the final hairpin. However, the Arden International driver, as he did in the previous day’s qualifying session, locked up the front left inside tyre, forcing him wide on the exit. Schothorst was able to retain the position, responding to stretch out his advantage to over half a second in the subsequent laps, with Fukuzumi looking to benefit behind Dennis. Positions remained static for the remaining couple of laps thereafter, with neither Dennis nor Fukuzumi able to progress further, and Dennis was left to take the chequered flag in sixth position. Dennis will provisionally start Sunday’s reversed grid second race from third position on the grid. ART GP’s Alexander Albon scored race victory having led after the intra-team tussle at the start of the race. Dennis’ team-mate Jack Aitken took second place ahead of the second ART GP machine of Charles Leclerc.